Did you know that there is a mayor and council race going on in the City of Tucson? Not if you rely on our local media. Maybe that is too harsh. It turns out that the GOP “mystery candidates” are sticking to their strategy of silence, avoiding their constituents and the media. There isn’t much to report if the GOP challengers are not seriously campaigning against the Democratic incumbents. Maybe after the primary they will finally have something to say. Arguments for or against the ballot propositions on the City of Tucson November ballot must be received by the City Clerk no later than 5:00 p.m. on August 5, 2015. 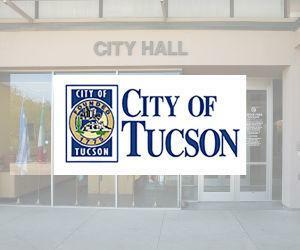 Proposition 405 – A proposed amendment to the Tucson City Charter recommended by the Citizen’s Commission on Public Service and Compensation to increase the salary of the Mayor from $3,500 to $4,030 per month; and increase the Council Member salaries from $2,000 to $2,288 per month. Previous articleQuestions for Martha McSally: What’s up with your FEC reports?